20 min ride from Harvard Square going south on Mass Ave.
KVA shower and storage facilities available. RED LINE to Andrew Station, then Bus #10 or #8 to Boston Medical Center. 1 HARVARD/ DUDLEY BUS to Albany St @ Randall St, the stop after Boston Medical Center. Cross Melnea Cass, turn L, then R on Hampden ST, then L on Farnham St.
I-93 exit 18 Mass Ave, westbound Melnea Cass. Turn left on Hampden St., then left on Farnham St.
Amtrak Back Bay Station, then Silver Line to Melnea Cass. Logan BOS, 15 min by taxi or Silver Line to Melnea Cass. 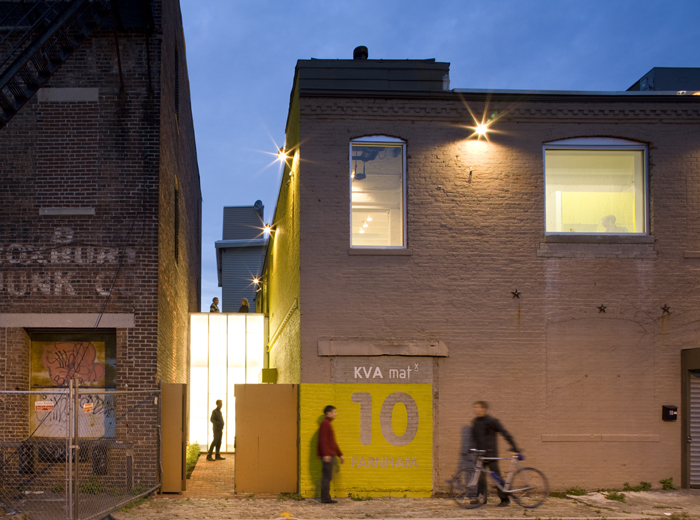 All work copyright © 2013 Kennedy & Violich Architecture, Ltd.